EU membership is not offered, it must be achieved - through the implementation of reforms and the Association accord. Ukraine should not deviate from European integration course because of Brexit. For the EU, it will be difficult to refuse membership to Kyiv after Ukraine shows success in reforms, senior analyst at the World Policy Institute, Leonid Litra, said on 25 July during the presentation of the research paper "European integration after Brexit: what will be the strategies of Ukraine, Moldova and Georgia." "Brexit should not be dramatized - the European integration of Ukraine, Georgia and Moldova remains on agenda," the analyst said as quoted by an LB.ua reporter. 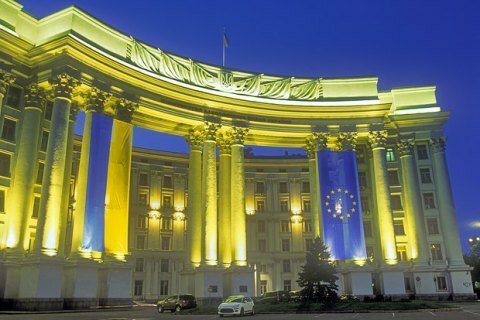 Ukraine should seek integration in the EU rather than wait for an invitation from the European Union, because the EU will never do it on his own initiative. The reference to opinion polls in the EU that indicate the population of EU countries is against the admission of new members is unconvincing. Firstly, the population is not homogeneous as 14 EU countries have stated against granting membership to Ukraine, while the remaining 14 stated are in favour. Secondly, public opinion does not always influence the decisions of politicians, they are taken into account only when it plays into the hands of politicians. "This is why the entry depends on how Kyiv will build relationship with Brussels, and, even more important, with Berlin and Paris," argues Leonid Litra. The expert is convinced that on the issue of European integration, the ball is not on the EU side, but on the side of Ukraine. "There are sceptics in the EU, but if we demonstrate progress in the implementation of the Association Agreement and reforms, for the EU it will be harder to refuse," he added. On the issue of Russia's hampering the European integration of Ukraine, Moldova and Georgia, a manager of European Integration programs in the Open Society Foundation (Georgia), Ivane Chkhikvadze, remarked that all these three countries have gone or are going through wars, in one way or another instigated by the Russian Federation. "Russia sees NATO in the shadow of the EU, and therefore is desperate to retain control over important developments in the Eastern Partnership," he said. Chkhikvadze said he believed that the EU is trying to heed to the position of Russia on the EU enlargement, however, "the past 10-15 years have shown that the policy of 'not teasing Russia' have failed." "That is why the EU should change its position towards Russia," says Chkhikvadze. He is convinced that the European integration is one of the ways to resolve conflicts in the three countries and cited the example of Transnistria, whose citizens are eager to get Moldovan passports - to be able to travel to the EU.